Lumpiang Prito with Pork filled with a delicious medley of bean sprouts, sweet potatoes, carrots, green beans, and ground pork. 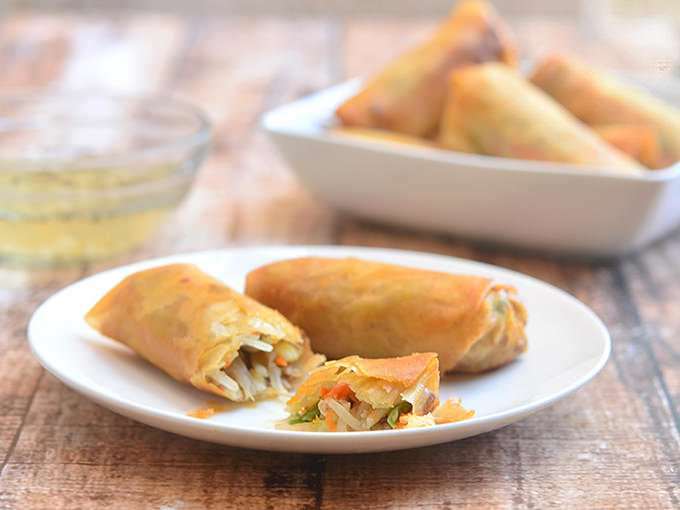 Crunchy and tasty, these vegetable spring rolls are the perfect snack or appetizer! 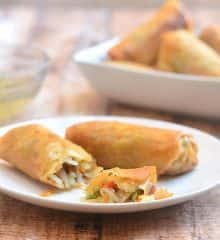 One of my favorite ways to enjoy lumpia is a vegetarian version which uses pan-fried tofu cubes as the protein source but today, I am going to share with you this lumpiang prito with pork which is filled with a scrumptious medley of ground pork, sweet potatoes, green beans, bean sprouts, and carrots. 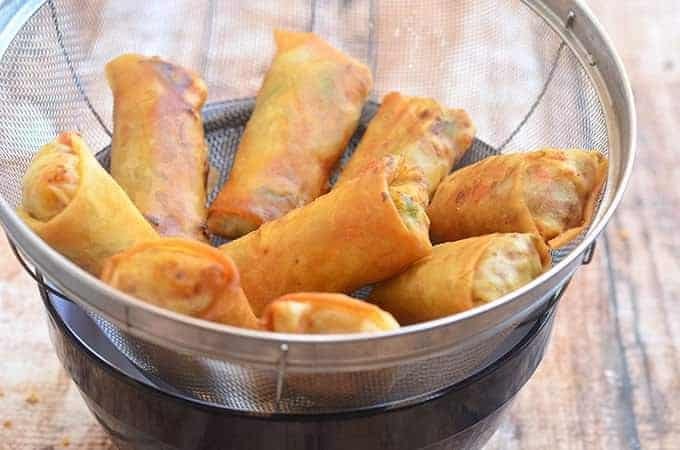 Golden, crunchy and delicious, these vegetable spring rolls are great as a midday snack or as party appetizers. They are best served hot and fresh off the pan with a side of spicy vinegar dip. To ensure even and fast cooking, cut the sweet potatoes and carrots in uniform matchstick size. Do not overcook vegetables. Keep them a bit underdone as they will continue to cook in their residual heat as well as during the final frying. Drain the vegetables VERY well and allow to completely cool before wrapping as their steam will cause tears on the spring roll wrappers. 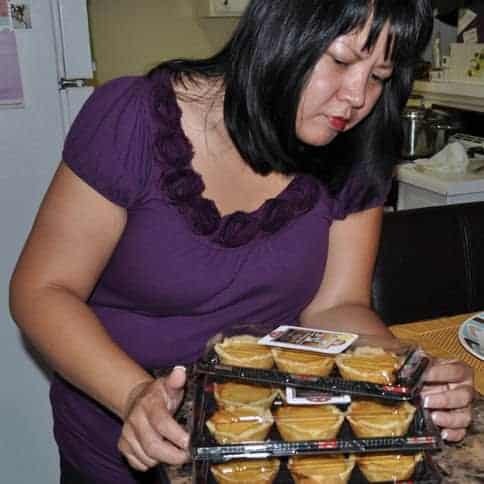 I like to pop the filling in the fridge for a few minutes to cool quickly and to keep from cooking further. Use fresh spring roll wrappers. Check manufacturing dates on packages as the older the wrappers get, the less pliable with rolling (they tend to break more) and harder to seal. Cover the wrappers with a damp cloth to prevent from drying out. Do not overfill wrappers to keep from bursting during frying. Roll the logs tight as possible. Lumpias are best deep-fried. Use enough frying oil to cover the rolls fully. Again, temperature, temperature, temperature! If the oil is not hot enough (350 F is optimal), the lumpia will absorb a lot more grease. Cook in batches to prevent the oil from plummeting. Do not drain on paper towels. 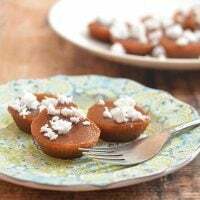 Drain on a wire rack set over a baking sheet or in a fine mesh sieve set over a bowl. In a pan over medium heat, heat about 1 tablespoon oil. Add onions and garlic and cook until limp. Add ground pork and cook until lightly browned. Add camote. Add water and bring to a boil. 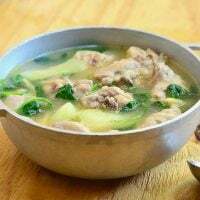 Continue to cook until camote are tender and most of the liquid is absorbed. Add carrots and cook for about 1 minute or until half-done. Add bean sprouts and cook briefly for about 30 seconds. Season with salt and pepper to taste. Remove vegetable mixture from heat and in a strainer, drain well of liquid. Separate wrappers into individual sheets. On a flat working surface, lay the wrapper like a diamond. Spoon about 2 tablespoons of vegetable mixture on the middle of the wrapper. Fold the bottom pointed end of wrapper over filling. Fold side ends of the sheet inward and roll tightly into a log. Wet the pointed edge of the wrapper with a dab of water to completely seal. Repeat with the remaining vegetable mixture. In a skillet over medium heat, heat about 2 inches deep of oil. 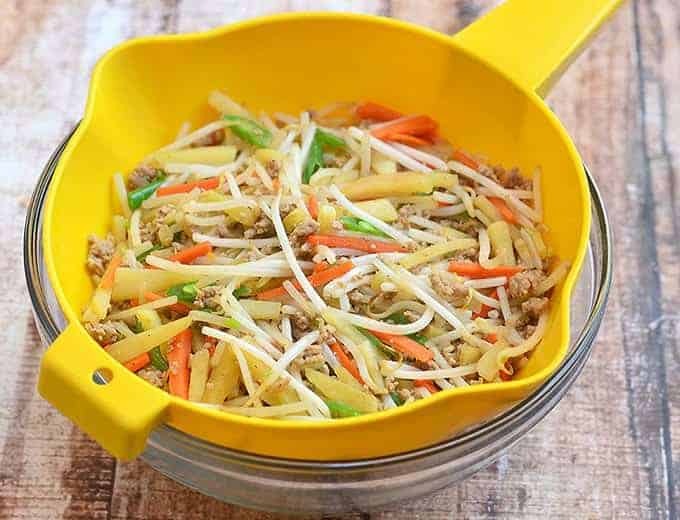 Add spring rolls seam side down and fry, turning once or twice, for about 2 to 3 minutes on each side or until golden brown. Remove from pan and drain on a wire rack set over a baking sheet. Serve immediately with spiced vinegar dip. Pwedeng magrequest ng fried vegetable spring rolls (appetizers that we get from Chinese restaurants)? thank you! i was craving for bean sprout lumpia but didn’t exactly know how to make it. Now with this, i probably can. p.s. 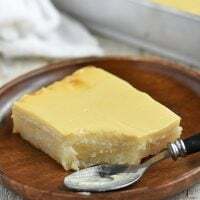 Can i request for a lumpiang sotanghon recipe too? please, and thank you. I’ve never heard of lumpiang sotanghon but sounds interesting. Will try to make it soon and will post it here. I will be incredibly grateful. from what i remember, the noodles has to be soaked beforehand so as to not absorb a lot of oil while frying. optionally, while eating, the lumpia can be wrapped in a leafy green, like lettuce, and dipped into a sauce similar to the viet/thai vinegar dipping sauce. Hopefully that helps with your planning as to how to make it. I apologize for burdening you with this request. Looks delicious! I’m yet to come across a spring roll I don’t love. 🙂 Sharing! Yum! Eyes on your lumpia before it’s gone. 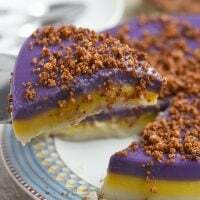 Really irresistible merienda, thanks for another version. Thanks and God bless!